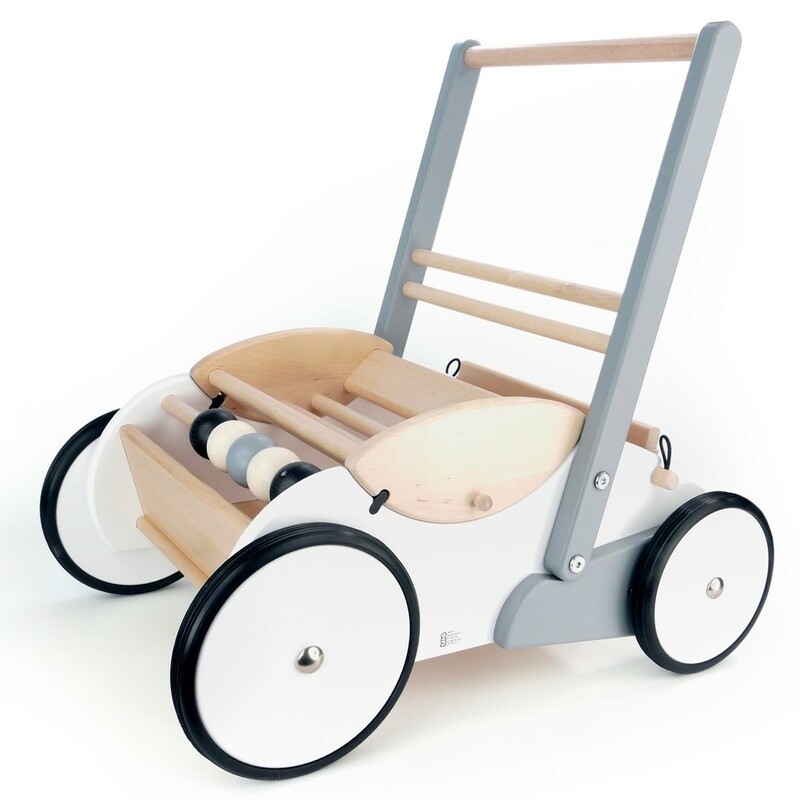 This monochrome wooden walker with grippy wheels is a great way to encourage older babies to take their first steps, give confidence to new walkers and provide them with somewhere to store their favourite toys. Little ones can pop their toys and blocks inside, take them for a walk and sit down and play with them in another room. Ethically made from solid wood, this stylish eco baby walker will be a hit with green parents as well as helping little ones to find their feet. This Bajo baby walker has been painted with non-toxic, eco-friendly grey and white paint to create a fab monochrome design. This wooden baby walker has an adjustable handle so it will grow with your child and is perfect for little ones whether they are learning to walk or confident striders. The baby walker has a removable tray and storage area which is perfect for your child to transport their little toys in. 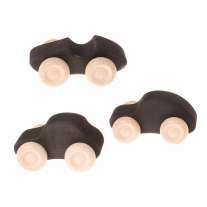 The wooden wheels have a rubber surround which adds to the stability and grip of the walker which helps young children boost their balance as well as protecting your flooring. 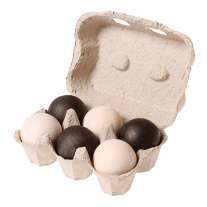 Wooden balls on the front of the walker add to the fun and allow your child to develop their counting skills.